As many of you probably know, a one shot on Southeast Asia is being hosted at Chasing Ray today. You can click the link for a full explanation, but basically, the idea is to have a group of bloggers (anyone who wants to participate) feature authors from or books set in Thailand, Laos, Cambodia, Vietnam, Singapore, Malaysia, Indonesia or the Philippines today. 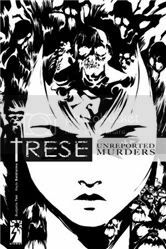 The book I decided to read was Trese: Unreported Murders by Budjette Tan and Kajo Baldisimo. This is the second book in a Filipino comic book series; you can click here to read my thoughts on book one. The series is set in Manila, and its protagonist, Alexandra Trese, is a club-owner and police consultant. As the back of the book tells us, When crime takes a turn for the weird, the police call Alexandra Trese. Like the first book in the series, Trese: Unreported Murders collects four stories, each of them a different case. Because each story stands on its own, I don't think they necessarily have to be read in order. These are supernatural mysteries, yes, but what makes them so interesting is that they're based on Filipino mythology and folklore. Like her father before her, Alexandra Trese knows how to deal with the mysterious world that hides beneath the surface of Manila. Within these pages we encounter duwendes, the Laman Lupa, the tikanak, lightening elemental spirits, and even dragons and zombies. The four stories collected in this book are not very long, which makes me worry that if I tell you about them in detail I'll be saying too much. So I'll just briefly highlight my two favourites: in "A Little Known Murder in Studio 4", Trese helps the police investigate the death of a young actress, and ends up discovering what the cost of fame may be. And in "The Association Dues of Livewell Village", she investigates a village whose inhabits are uncommonly fortunate, except for one mysterious death each year. I don't think Trese is available outside the Philippines yet (my friend and book twin, Lightheaded, was kind enough to send me the first two books), but the good news is that it can be read in its entirety online. Also, the book left me in the mood for more Filipino myths and folktales, which fortunately are also available at sites like Surlalune, Project Guntenberg, and Professor D. L. Ashliman's folktales library. This means I can follow my reading whims without breaking my book-buying ban, hooray. 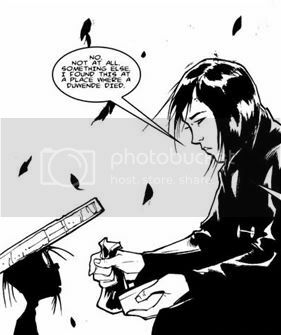 Moreover, at the core, the stories of Trese deal with very real emotions—fear, vengefulness, desire, restlessness, and heartbreak, whether it's a human or a mythical creature feeling it. To learn more about books and authors from Southeast Asia, visit the link round-up at Chasing Ray. Have you read any good books from or set in any of these countries? If so, I'd love to hear about them. 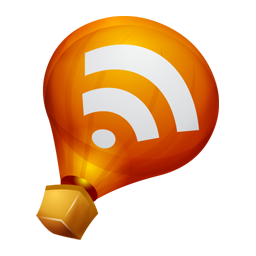 Oh, thank you, thank you, thank you for the on-line link! I remember how intrigued I was by Trese when you reviewed the first one last summer, but I was never able to find it in the stores. Now I know why. ;) I'm so glad to hear you enjoyed this one so much, too! Thank you too for the online link. It makes it easier to get hold of graphic novels. I didn't know about 'one shot on Southeast Asia', so thank you for that link too. As always you are my source of information! Debi: Hopefully the books will be published worldwide at some point, but for now the site is a great resource. Vivienne: I'm glad to be able to help! So remember how the other day I said Aya wasn't the art style I normally enjoy? Well, this looks more like my kind of thing. I went out to the website and took a look at a couple pages and I love the art so far. WOW. No, this ISN'T available in the US yet. Hope it's out soon, how cool! Sounds a little like an Asian version of The X-Files. Cool it's awesome that Lightheaded sent you a copy. I will check them out online. I don't think I have read any books set in those countries unless you count travel guides to Malaysia when we visited on honeymoon...! This series sounds wonderful. I love supernatural mysteries, and I like the myth aspect of this one, too. And I'm just starting to get into graphic novels. Thank you so much for the link! I hadn't heard of 'one shot on Southeast Asia.' Thanks. This series sounds interesting. WOOT! Excellent choice of country for One Shot Southeast Asia. ;) Come visit meeeeee. I'll take you to places where we have to say "tabi tabi po" while walking so as not to disturb the nearby spirits. Ssshhh. We'll watch Filipino horror movies and go book shopping. And we'll try to have coffee with Budjette Tan and Kajo Baldisimo. Sadly I didn't get my book finished in time for this. :( These look like fun! And to everyone distressed b/c they didn't know about One Shot...it originated in the kidlit community though they are trying to expand it so don't feel too bad! These sound really good. I love that I can read them online. I really like that these are based on myth and folklore, and that they have supernatural elements. 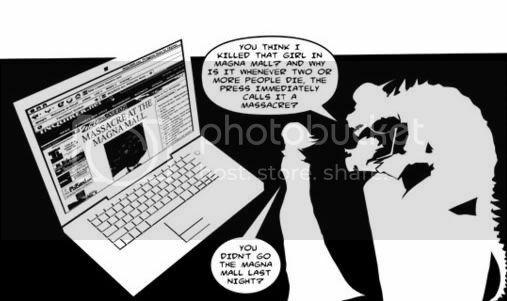 I am going to head over to the site and browse for awhile. Thanks for posting that link! I wish I'd heard of One Shot before. I'm really (preasantly) surprised and very happy that you read and featured a Filipino book. I haven't read one since I left a few years ago. Kinda miss it. I was going to join in with a book from Burma, but then I saw it wasn't on the list. These look like fun. I love the line "when crime takes a turn for the weird..."
I've never been one for short stories but I'm looking at them more now because time is so short and a short story makes me feel like I accomplished something! These sound like fun. Thanks for the review. This One Shot was fun. I had me and my brothers reading great new books! very cool that they are based on myths. Fantastic. Glad to hear we can we this online. Going to check the links. Thanks. Amanda: I think we have opposite tastes in art :P But in this case the style really fit the story perfectly. Anyway, yeah, it's hard to keep up with everything these days! Tanita Davis: I hope it gets published in more countries too! Loren Eaton: The first book did make me think of the X-Files. But the mythology makes it unique, I think. Rhinoa: I remember you telling us about your honeymoon - I'd love to visit that part of the world someday! Carol: I think it will happen again, with a focus on other parts of the world, so keep an eye out! Tarie: Oh, I so wish I could! Amy: I'd see the original announcement, but it was your tweet that reminded me a few days in advance. Luckily I had this on my tbr pile! heidenkind: Yeah, it's awesome of them to make them available! Claire: I'd love to see you post about Filipino literature, even if not for the One Shot! Alyssa Kirk: Same here, actually! I only started reading short fiction a few years ago, but I've come to really appreciate it. Naida: Yes, it's what makes it so interesting, I think.